One of the most requested retirement questions I have received is for information regarding Americans living in Ecuador. I have had friends who traveled there and they had high praise for the country. In fact, they were so enthusiastic that they sent me a number of articles about how much people seem to enjoy their retirement in Ecuador. It has become a very popular retirement destination, with large communities of Americans in the major cities. While most of the population speaks the official language of Spanish, the currency is the U.S. dollar, so Americans have very little trouble adjusting to the country. 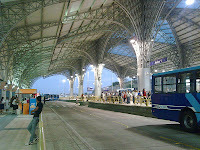 It is also a very modern nation with great public transportation and high quality medical facilities. There are several reasons why some Americans might wish to consider moving to Ecuador. In general, however, most of them made the decision because they wanted to be able to enjoy their retirement on Social Security alone, rather than struggling to just barely get by in the United States. This small country has become so popular, in fact, that the Retirement Living website ranks it as the best place in the world for Americans to retire overseas. The number one deciding factor I have heard repeated over and over again is that Ecuador is a very cheap place to live, while still affording Americans a high quality of life. There are a variety of places to live in Ecuador, from cottages on the cool mountainsides to beachfront condominiums. You may wish to live in a small village or prefer large cities like Quito and Cuenca where you can meet other retirees from the United States. According to a report in US News and World Report, one charming town in Ecuador is Loja. It is a small city with a population of about 185,000 people. The average temperature is 73 degrees during the day and 45 degrees at night, and this is true the year around. You will not need air conditioning or winter clothing in this tropical paradise. According to the US News article, Loja is also considered a very safe place to live. There is a large ex-patriot community of American retirees in many places in Ecuador, especially the larger cities, and some people plan to live there for the rest of their lives. On the other hand, there are very few ex-patriots in smaller communities such as Loja. Anyone who is planning to move there permanently should take this into consideration when deciding whether they would like to see other Americans frequently or spend more time among the locals. The country is located on the equator and has a tropical climate along the beach and a mild climate the year around in the villages that pepper the sides of the Andes mountains. Ecuador is very affordable. On several websites I saw the estimate that a couple can have a high quality of life for about $900 a month, plus the cost of their rent, which varies depending on the town they choose and how close they want to be to the ocean. In addition, for those who choose to buy a residence, homes and condos can be purchased very reasonably. Food is also fresh, delicious and inexpensive. One reason for this is because of the open markets where you can purchase tropical fruits and vegetables the year around for very low prices. Ecuador has high quality hospitals, while permanent residents are only charged low insurance premiums and co-pays. However, the access to medical care, especially hospitals, is best if you are located in a city. The country is very modern and many of the cities have facilities that are popular with Americans such as restaurants, bars, gyms and aerobics centers. The country also has excellent public transportation including bus service, jet transportation, airports and inexpensive taxis. 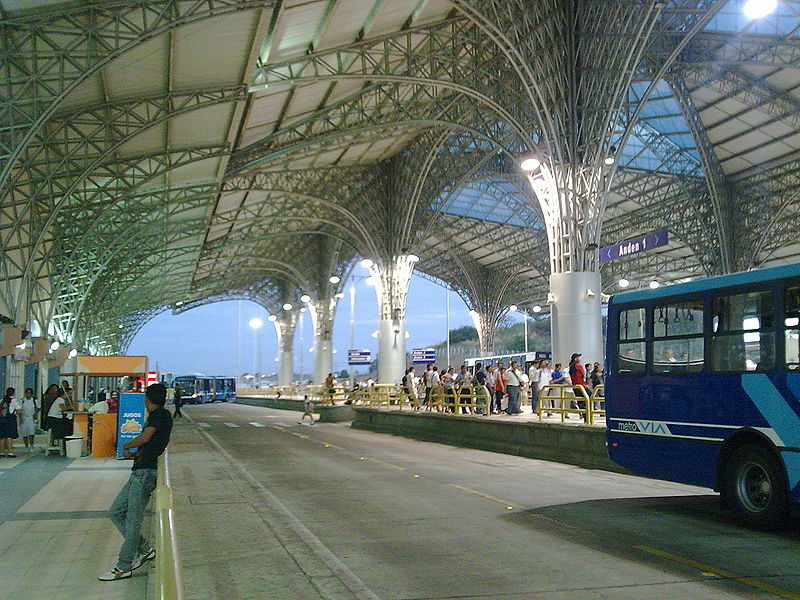 (The photo at the top of this article shows one of the country's bus stations.) With such widely available public transportation, some American retirees have discovered that they do not need cars. The communities are very walkable and, with the easy public transportation, you can get almost anywhere without an automobile. U.S. bills and coins are accepted everywhere. The U.S. dollar has been the official currency since the year 2000. If you plan to live in Ecuador, or even visit there, you should let the U.S. Embassy in Quito or the Consulate General in Guayaquil know. They have a Smart Traveler Enrollment Program (STEP) that will keep you up to date on safety and security information and will also make it easier for friends and family back home to reach you in an emergency. The Galapagos Islands are part of Ecuador. If you are planning to visit, you should contact the Consulate General in Guayaquil. When you enter Ecuador, you will need to have a U.S. passport that will be valid for at least six more months. If you plan to stay longer than 90 days, you must get a special advance visa before you arrive. While in Ecuador, you are required to carry identification, including your proof of U.S. citizenship, at all times. However, since passport theft is a problem, you should carry a photocopy of your passport rather than the real thing. So much to consider. Thanks for presenting all the important details.